This last of three sequential essays on the dilemma of architectural versus sculptural presence in landscape hinges on an evil grain elevator. Most grain elevators are not evil. If you’ve lived near one — like the one in this photo — you’ll be intimate with its inexplicable neighborliness. If not, you can imagine developing a pleasing familiarity, seeing its mass out your fogged-up kitchen window, or (drink in hand) from your porch in early evening, or down that sidewalk dropping to town by the Carnegie library, or — better still — sighting its profile through your windshield crossing some rise at dusk or dawn on a long and fretful drive home. Grain elevators fall within a narrow range of sizes, like the clade of sauropods. Coincidentally, many of the towns in America’s central Midwest are positioned in the Jeffersonian grid so you can make out the next town’s grain elevator breaking the horizon about the time you lose sight of the last in your rearview. Grain elevators are thus landmarks for mapping landscape at the scale of township, the primary political unit, rather than town, the primary social unit. 1 Their mute towers are the campanili of the Midwest. Because grain elevators are inherently dynamic forms — more three-dimensionally aggressive than some of the recent architectures I accused in the preceding essays of upsetting landscape — it’s a conundrum that their presence sustains rather than upsets the consistency of their landscapes. Adolf Loos might have argued this is because grain elevators, designed by engineers, resolve a direct problem directly, and are thus perceived as necessary (or vice versa, given Loos’s circular logic), unlike something truly offensive, like a house painted pink. 2 Yet you, architect, could certainly imagine designing a building of such similarly urgent sculptural presence. Grain elevators might then seem to serve as persuasive examples of how sculptures and buildings are alike in making landscape, a strong counter-argument to the preceding essay in this series, which set out to prove they could mostly never be alike. Le Corbusier’s excellent triangulation of humankind notwithstanding, not everybody is agreed this is the very nature of the plastic arts. I don’t think these core forms are appreciated in the same way in a building as in a sculpture, in part because of the aforementioned evil grain elevator (it is, by the way, the same elevator as in the first photograph). To understand how this grain elevator is evil, it helps to again consider an over-arching question central to these essays: are buildings like sculptures in making landscape? But now I want to consider an artist’s point of view, partly to address the problem noted in concluding the last essay: that Loos’s compelling argument, as set out in Architecture, could not clearly account for ongoing evolutions within a landscape. Any object that has a site dominant interaction with its location literally dominates by the strength of its formal presence, and its meaning evolves from the presumption that we perceive the site as content free, a neutral setting. The interaction between site and sculpture is a monologue given by the object, directed to itself and its internal traditions — to, as Irwin puts it, its oeuvre — with the site in respectful, rapt and silent attention. Irwin identifies Henry Moore as a sculptor who consistently generated site dominant pieces. Here is Moore’s Large Spindle Piece. If you read the first set of essays I published in this journal, you will have seen it before, dropped somewhere else on the planet. This is a traditional idea of Modern sculpture: freestanding, discrete, unbound to place, so fascinated with itself that we become fascinated as well. It’s like watching a body builder pose. Strangely, we accept such objects in landscape readily; but the sites Moore (or modern curatorial propriety) preferred — green lawns, middle-ground foliage screening the world of activity — may have creepily become our definition of landscape appropriate for sculpture. The inward focus of the Moore, and its ability to be deployed in many locations, suggests that any Hotel Six or Sonic might be the architectural equivalent; but the Moore is a prima donna, not a shill. So perhaps: Ziggurat at Ur, the Minaret on the Great Mosque at Samarra, the Pyramids in Egypt or those throughout Central America, or the Parthenon in Athens. Actually, these are site dominant primarily as forms. Like many pre-industrial era constructions, they differ in sited condition from the Moore in being locked exactly into place through some linkage to natural feature or orientation. Their sites aren’t really mute, and impart more — if faintly — to their uncompromising objects than the variable sites for the traveling Moores. But this they all share: it is the site that is expected to compromise to the uncompromising object, as it does in, for example, the staggering cutting required to start the Pyramid of Kephren on a level plain. Perhaps more exactly site dominant objects are the Pyramid in Las Vegas (the Luxor), and the Parthenon in Nashville; one of those portable cast-iron churches designed by Eiffel; or Fuller’s Dymaxion House, Kahn’s Exeter Library, Eisenman’s House VI, Corbusier’s Unité d’Habitation. 6 Many skyscrapers are site dominant — from the Chrysler Building to the Gherkin — though the majority are too perfunctory or morose to dominate interestingly. Vast size is helpful but not necessary: Bramante’s Tempietto, Schinkel’s Neue Wache, the Ka’aba, the Treasury at Petra — all establish their primacy by other means, as do the follies at Stourhead, if only while in sight. Nor is symmetry or closed form necessary: Rietveld’s Schröder House and Hadid’s Vitra Fire Station are dominant forms despite their indeterminacy. A clear architectural equivalent of the Moore (as Irwin describes it) is Eero Saarinen’s Arch in St. Louis, an entirely hermetic expression of its own logic. It is not that such objects ignore their sites — both the Moore and the Arch are aware they will be sited, and recognize this in their form. But the recognition is general, not local, implicit rather than explicit. A site dominant artwork or architectural object seems to validate its site in the perverse manner that a mediocre hotel may be elevated by the presence of a celebrity. Today this quality can be seen in forms like Herzog and de Meuron’s Bird’s Nest, Ito’s Mikimoto store, or Foster’s Hearst Tower. Objects that are site adjusted — Irwin’s second category — remain in the foreground, as with site dominant entities. But some aspect of the object mediates between the desired hermetic perception and conditions of the site that threaten or strengthen that perception. The work of the sculptor Mark di Suvero serves as Irwin’s example. The di Suvero shown here at first appears site dominant, but the angle of the lower beam has been adjusted to the slope of the hill beyond (either in composition or in siting), and this resonance helps quietly integrate the strong object into its site. Still, the work is conceived, in Irwin’s terms “in the studio”: its meaning remains internal to the object’s tradition, or to the artist or architect’s oeuvre. If the dialogue of object and site is largely monopolized by the object, at least the site is acknowledged in the opening remarks, and may even be asked its opinion. Irwin’s choice of di Suvero is telling. The reticence of these sculptures with regard to location — you have to look closely — points to the hierarchical status of site at work here: important, but less than the human invention. Examples of site adjusted objects with roughly this same proportion of internal idea to site response might include Pei and Cobb’s Hancock Tower in relationship to Copley Square, or Mies’s extraordinary and strangely unbounded gathering of towers at Dominion Centre in Toronto, or Terragni’s Casa del Fascio in relationship to the Duomo in Como. A more generously site adjusted object at building scale is Asplund’s Stockholm Library. Here a substantial portion of the program is used to prepare the site for the presentation of an essentially hermetic, idealized type form — the cylindrical reading room inside its perfectly ordered cubic wrapper — which references a history of meaning associated with the architectural form of libraries, an oeuvre, rather than with sites. Asplund’s freestanding object correctly sits in isolation on what appears to be carved terrace in a hillside. But this carved mass is all building (note the restaurant embedded in the side), a vast basement providing service spaces for the library, while negotiating between the messy circumstances of the actual hill, the desired purity of the library object, and the complex grid of the city. Site adjusted is the most common form-to-site relating strategy in current architectural design, so automatic that architects rarely justify its use, though it’s a strategy you choose (as the Romans did regularly, the Greeks — and SANAA — rarely). Almost every building by Gehry is an explicitly site-adjusted object: behind the warped mask lurks the banal box fit to normalcy. Italian High Renaissance churches are regularly site adjusted in section, while Italian High Baroque churches are regularly driven by a site adjustment in plan. Holl, Mayne and Moneo use site adjusted objects to varying degrees depending on the problem at hand; Piano and Siza less so. At Stirling’s Neue Staatsgalerie in Stuttgart, site adjustment is partly the subject. As with Asplund’s library, the various circulation routes, secondary programs and service spaces form a lumpen scar tissue that explicitly separates the pure U-shaped cordon of gallery rooms — the oeuvre part — from the complex circumstances of the site; but here the scar tissue is inhabitable, and the plan levels are so distinct as to be intentionally confounding in experience. Certain programs — libraries, schools, museums — frequently find themselves housed in site-adjusted objects. 7 Jefferson’s University of Virginia is doubly beautiful in this regard. On the one hand, there are the uncompromisingly legible and seemingly dominant institutional masses (the library, the houses) set against the precinct-defining dark matter (the student-housing filled quadrangle wall) — one adjustment. On the other hand, the whole construct steps down the slope, and, in so doing, perspectivally opens up the view from the library to the naked new landscape beyond, a subject at the time so pressing and concise that the linkage to site here actually enters the realm of a deeper dialogue than is implied by mere adjustment. The history of architecture is replete with site specific objects. The most widely known in this way is certainly Wright’s Fallingwater, which also generates a pattern of disruption in its site to more precisely define inhabitation. While Fallingwater may (formally and programmatically) only be possible in its specific location, it is also instantly recognizable as a Frank Lloyd Wright design — a Wright is always recognizable as, first and foremost, a Wright — one in which we perceive the extension of Wright’s concerns played out in everything from massing, to lifestyle allowed, to detail. Still, the site and object are clearly speaking to each other (though the dialogue can be characterized by the gullibility of the site and the hidden intentions of the building, which masks its aggressive desires beneath a veneer of seeming concern — it’s like watching some horrid stalker movie seduction, where you know in advance what the site doesn’t yet). Imagining examples in this fourth category is difficult. The overriding parameter is the absence of a perceptible intent to frame meaning beyond the realities of the site. It’s like repositioning furniture without rearranging it, or perfect plastic surgery. A useful example of what Irwin means can be seen in this roadside car park in Wyoming. Its upwardly bent corner has the same experiential consequence upon approach as the downwardly bent corners of a Giacometti sculpture base: allowing your eye — and inviting your mind — in. But you do not believe the gesture to have been made intentionally. You instead suspect someone backed up his truck too far. Still, it could have been designed this way. There is simply no way to know. So your experience of the physical fact (like that of the unintended geometry of the Igualada Cemetery) is essentially private. There is no legible mandate that connects the gesture to any pattern of space making, or internal history of cultural production. Irwin again: “… the process of recognition and understanding breaks with the convention of abstract referencing of content, historical lineage, oeuvre of the artist, style, etc.” In theory, your entire experience is limited to valuing this one place. Top: Roadside stop, Wyoming. [Photo by David Heymann] Middle: Alberto Giacometti, Piazza, 1948. [Peggy Guggenheim Collection 76.2553.135] Bottom: Robert Irwin, Black Line Volume, 1975. In Conditional, Irwin offers his own work as his example of site conditioned/determined. Of his pieces, at least in photographs, the sly Black Line Volume, made for Chicago’s Museum of Contemporary Art in 1975, is the most successful. Irwin spent several days looking at the blank and anemic space he’d been allotted before seeing the potential of the existing banal black baseboard (its extension across the space in the foreground is his addition). Today many artists use the loophole of intentional uncritical presence to extend or intensify the crisis of perception. Robert Gober often includes seemingly site conditioned/determined parts in his pieces to blur their limit. Yoshihiro Suda’s Weeds, quietly sprouting from the joints in Tadao Ando’s Benesse House Museum, has exactly the desired effect. Certainly Sherrie Levine’s famous re-appropriations could be said to be a meta version of the idea. But naming an architect who works this way (critically and intentionally) is almost impossible. Many should be out there: Irwin’s whole point here is about the necessary and desired protection of specific place free of reference to anything beyond, which is the logical end point of a trajectory of thinking about site that begins as a reaction to Modern placelessness. Isn’t the desire that underlies the promise of site conditioned artifacts exactly the same as the idealized agenda that seemingly supports so much architectural site rhetoric today? The difficulty in naming examples partly reflects Loos’s point about the state of architecture as a Modern activity — obsessed with elevating the foreground presence of buildings — rather than as a cultural desire 10. And the discourse of architecture is such that any example (say, the Leça da Palmeira pool by Siza, or Greenberg’s Brant House) loses its anonymity automatically, since the mechanisms by which buildings become examples — publication, critical assessment — invariably attach to buildings meanings beyond their sites. Still, a site conditioned/determined building is arguably the great after-Modern challenge, assaulting entirely the question of authorship and validation thereof by means hermetic to Architecture as a cultural activity. It may be a challenge for the saintly. Even the Irwin work does not quite live up to its desire, which requires, ultimately, sublimation of ego (a tough way to make a living). So what kind of relationship does the grain elevator — the evil/good one pictured at the start of this essay — have with its site as a sculptural object? Is it site dominant, site adjusted, site specific, or site conditioned/determined? Is it like the Moore, the di Suvero, the Serra, or the Irwin? These are surprisingly hard questions to answer. On the one hand, you have to imagine coming upon the object in all innocence, as if it did not exist, then did. On the other, the answer differs initially depending on the scale of site you use as reference. It’s certainly difficult to argue that the grain elevator shares much with the Irwin (that it’s site conditioned/determined). Like the Moore, the elevator’s form is so overwhelmingly present — it’s so distinct — that you would have to associate some form of intent to the change it engenders in its landscape. If you consider it from the angle shown (at the start of this essay), you might then say it is site dominant, since its object geometries — precise, anonymous, enigmatic — seem entirely to do with internal concerns. Were you to see it closer, from the railroad siding, you would however become aware of various mechanisms (awnings, chutes) clearly designed to recognize something local (you can just make out part of these in the support cables extending from the tower on top). That recognition is further borne out in specific treatments of the ground plain — foundation, loading docks, ramps — which adjust the dominant object to site realities. So, at an immediate scale, it is site adjusted, more di Suvero than Moore. Were you, however, to step way back, to the scale of townships I mentioned at the start of this essay, you might arrive at the probability that the object — strange as it may be — is site specific, since this particular type of object is invariably associated with a pattern of location (where rail lines meet primary roads) consistent throughout the vast plains of the central continent. In fact, were it absent, it would be missed. So it is hard to pigeonhole the grain elevator with any certainty. The difficulty in using Irwin’s terms to categorize the grain elevator arises in part because Irwin makes us aware of his example artists’ intentions. We actually learn that Tilted Arc is meant to be site specific: it is easily possible to interpret it — as some did — as having a categorically different relationship with its site. Clearly that acquired knowledge colors our perception of these objects in landscape. That said, one hallmark of after-Modern theory is the (believable) argument that all aesthetic experience is mediated by some knowledge (the possibility of sculpture that could have only purely formal presence was a short-lived dream of the Modern). We approach sculptural objects assuming some author’s intent with regard to site, even if we do not fully understand it. So, no matter how innocently you try to look at the grain elevator, even as sculpture, you keep asking yourself: what is the intent? Without mediated knowledge of the author, this is difficult to ascertain with any certainty. But it is not unknowable, at least not precisely. In landscape, legible intent is different for forms we perceive to be buildings than for forms we perceive to be sculptures, since in most cases (Gehry is the exception) before we ask, what is the architect’s purpose, we ask, what is the building’s purpose? This may be the single most profound difference between architectural and sculptural presence in landscape. The degree to which we understand building form in landscape because of program — actually the degree to which we understand landscape because of building program — is surprisingly powerful, and startlingly insidious. You can see this clearly when you consider the grain elevator, but now in its evil incarnation. How could it be evil? Well, starting in the mid-1980s, violent crime began to rise in the Midwest, as a depressed farm economy met the rise of crystal meth addiction (the Midwest was then becoming an epicenter of crystal meth production). As criminal convictions increased, the capacity of the prison system to hold prisoners was outstripped, and at the time it seemed the trend was only worsening. So the Governor of Iowa at the time put forward a plan almost Dutch in its radical practicality. Farming was in a bad way economically. Many of those hollow, thick walled, windowless concrete grain elevators — every major town has one — were sitting empty. Maximum security prison space was needed urgently. What could be easier — and it really wouldn’t be hard to accomplish in fact — than converting one into the other? It‘s like chocolate meeting peanut butter! Except it’s not, from the standpoint of landscape. Remember that lovely grain elevator? Once it was filled with corn and soybeans, with seed. Now it’s filled with criminals — bad seed! — and there is no possible way you do not know that. Imagine this same grain elevator coming into sight on your long drive home, from your porch, on your walk to the library, through your kitchen sink window. Nothing has changed — but everything has changed. A candy bar collected on Halloween looks sweet, unless you suspect there might be a razor blade inside. 11 Physically unaltered, the grain elevator, once good, now evil, casts a blight over town, township, landscape. The programmatic change, from grain elevator to penitentiary, was easy to suggest; but the staggering consequent change to the landscape — so infinitely beyond Loos’s destructive villa — was impossible to digest. The outrage was swift and severe: the proposal withdrawn within days. The point of this example? The problem of building design is not form in landscape. It is program in landscape, and the manner by which form negotiates the relationship of one within the other. Given this line of logic, here is where the work of architects (architecture) and artists (art, and in this case sculpture) overlap: both currently value sites highly as a sources of meaning, while still categorizing sites along a spectrum of value similar to what Irwin describes. There are sites that allow for the easy presence of the dominant, that require adjustment, that demand specificity, or that insist on determining alteration entirely. This, curiously, is partly how zoning maps are determined, whether form- or use- (i.e., program-based), though such maps are blunt force tools. Certainly this categorization — if never so precisely set out — is a hallmark of present design discourse. But the general degree to which sites requires respect is cultural, hence constantly evolving. In the United States, for example, wetlands have managed to move through at least three of Irwin’s categories in the past 50 years, from where you dump the body, to where you educate the children — that is, from sites that could be dominated, to sites that demand specificity. And here, using Irwin’s categories, but Loos’s logic, is where the work of architects and artists differ. Regardless of site, the program of site art is art response, which is uncategorizable (since fluid), but always good (on this Irwin and Loos agree). But the programs of buildings — as the evil grain elevator shows — are not always so, regardless of form. We can categorize programs — as we do sites — using Irwin’s terminology: site dominant, site adjusted, site specific, and site determined. While this is partly a factor of the program itself — for example, library is a program that lends itself to site adjustment, while prison is hard to so alter — the determination is cultural, hence evolving. You can see this in something like the difference between the new and old capitol buildings in Australia; or, for example, in the evolution of the appropriate role in landscape — at least in the United States over the last 40 years — of monument to war dead; or, for example, in Japan, of monuments in general, where SANAA’s Dior building on the Omotesando begins with the same central formal artifact as the Ise Shrine — it’s also a mirror, wrapped in shrouds — arguably to the new same ends of devotion. In the best of all worlds, the Irwinian character of program and site correspond across the spectrum of types, allowing form to arise as a simple contract. The collection of primary buildings forming the Acropolis serves as the standout illustration of this possibility. The site-dominant program (temple to the home goddess) is given the site of greatest potential dominance; and its form, the Parthenon, is the masterpiece of the trajectory of an oeuvre — the peripteral temple — dictated by the uncompromise-able internal logics of site-dominant form. The strange site-adjusted form of the Erechtheum arises from a difficult site: a series of shelf-like steps that demand formal adjustment. Its unknown site-adjustable program must have been able to take advantage of this complex site condition readily: the building form is a fantastic kit of parts, each familiar as a type, yet each readily able to adjust one to another without (apparently) disrupting the workings of the program. The site specific form — the Propylaea — occurs at that point on the long climb up the Panathenaic Way at which the upward slope suddenly crests and expires through a steep narrowing, and the Way as a line vanishes into the open Acropolis. If this singular topographic circumstance is the perceived physical entry to a site, so too is the program of entry specific to this start of the religious precinct, and the extraordinary built form that arises merely celebrates more profoundly what is already a happy union. Is there a site conditioned/determined object? Impossible to say without knowing what was there before, but the nearly invisible Temple of Athena Nike — it exists in a spatial loophole — comes close in spirit. But it’s rare that program and site so precisely align. This is the odd landscape consequence of the continuous evolution of site and program status (particularly in marketplace economies 12). Architects are frequently asked to resolve the dilemma of a program that probably doesn’t belong on the site to which it has been assigned by factors beyond the architect’s control. Actually, any such resolution that involves formally attempting to recast the character of a program across more than one of Irwin’s categories — for example, a site dominant program to a site that demands specificity — is a perverse design task, since such a dilemma should actually raise alarm about the policies which allow it to be a problem in the first place. It isn’t, for example, that the Hancock Tower isn’t a valiant effort to be polite to Copley Square — it’s that perhaps it shouldn’t have had to be put in a position to be so deferential. Candy bar in razor blade variety problems in the perception of built landscape arise when the characters of program and site — irrespective of their mediation by the architectural object — are too substantially out of synch. Certainly a primary surface interest in design currently seems to be the formal method by which these characters can be aligned. 13 I say surface because, as I have sought to point out in these essays, the means we have developed — the various forms of Paranoid Critical mapping — and the rhetoric we have associated with those means, seem to guarantee that all of our buildings will be site-dominant, regardless of our publicly professed desire to be site-specific. Architecture: masterful play of forms in light? That’s what architecture thinks when it looks at itself lovingly in the mirror. And, sometimes — rarely — it looks that good in the light of landscape: a site dominant program on a site appropriate for a site dominant program, housed in a site dominant form. But, really, most of the time architecture is (and should be) the undernourished and underdeveloped minister — no one even notices the minister — stuck trying weakly and desperately to negotiate between the two furious and offended mothers-in-law, both demanding harridans, at the wedding of site and program, the two families more powerful, in landscape, than form. “The Evil, Evil Grain Elevator” is part of a series of articles drawn from Landscape with Buildings: Essays on Site Design, a work in progress by David Heymann. The six-mile by six-mile geometry of the Midwestern township, so set out that its central town is reachable by horse and wagon to vote and get back before dark, means that major towns are more or less six miles apart on average. So, while driving from one town to the next, you are roughly three miles from either when furthest from both. Coincidentally, given the curvature of the earth on a flat surface (think the Midwest) a six foot tall adult can see about three miles to the horizon. The circumstantial factors (presence of windbreaks, rolling topography, perspectival diminution, height of pickup truck seat, etc.) have their effect, but it remains an odd phenomenon of the Midwest: the full grandeur of the grain elevator of one township — the only thing aside from water towers to get tall in a tornado-addled landscape — often becomes present just as the elevator of the last fades from view. There is nothing quite like painting a house pink to awaken savagery. I live in Austin, which is known for some tolerance. Not long ago, an elderly woman living some blocks from me painted her old and charming wood frame house pink. The surrounding neighbors unsuccessfully sued as a group for devaluation of property. Shortly thereafter the elderly homeowner passed away. The neighbors once again banded together to make a financial offer to the heirs that could not be refused. The little pink house was promptly torn down, and speculative duplexes built, filling the maximum footprint allowed, so salting the earth to expunge memory. The chapter in question is the first of the Three Reminders to Architects, on Mass, in Le Corbusier’s Vers Une Architecture, 1923; the translation quoted is by Frederick Etchells, from the Holt, Rinehart and Winston English edition, 1960, page 31. Adolf Loos, “Architektur,” first published in Der Sturm, 1910. Robert Irwin, “Conditional,” from Robert Irwin, Being and Circumstance: Notes Toward a Conditional Art (San Francisco: Lapis Press, 1985), 21-29. It is interesting to find the Unité d’Habitation in Marseilles in Google satellite view after visiting the building itself. Everything about that part of Marseilles seems randomly planned. The Unité seems random to the surrounding randomness, but it is actually, proudly, oriented true north south. This, of course, makes sense — an equitable distribution of daylight — but it’s still a shock when you see it from above. Site adjustment is invariably the method of choice in a tightly constructed context or difficult physical circumstance. The Rose Center at the Hayden Planetarium is an extreme example of the type. Here the new institution is equal part the construction of a jewel and the construction of its setting; the two are at the breaking point of cohering as a single entity (not that that is required, but it’s interesting) constructed at a single moment. 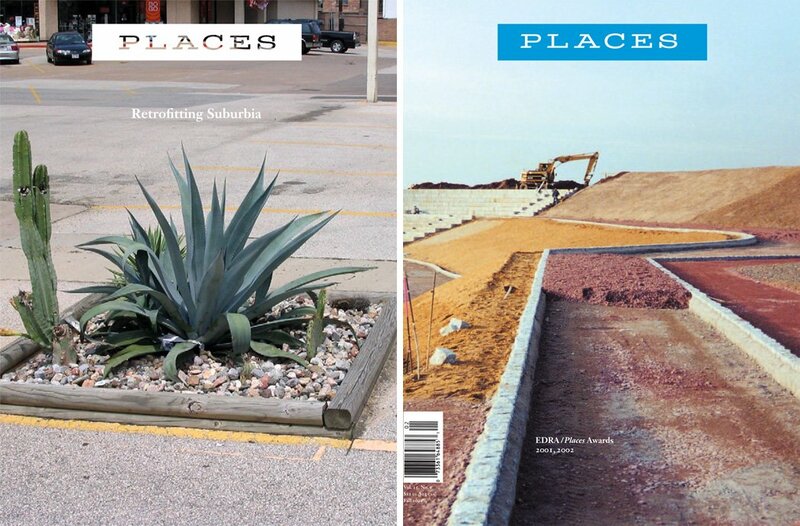 The story is well known; but it is worth re-visiting, and is put in perspective nicely in Miwon Kwon’s One Place After Another: Site Specific Art and Locational Identity (Cambridge, MIT Press, 2004), roughly 69-84. As compared to, for example, the many additions and expansions to the Palace at Versailles, none of which revel in being different, establishing a dialogue, etc. The contrary is today the norm, and architects tend to present additions as proud stories of how they achieved difference. I don’t have a problem with that, except as rhetoric: this is a choice, not a resistance to gravity. It’s the rhetoric of disappearance that interests me about the possibility of truly site conditional constructions. I know that J.B. Jackson, toward the end of his life, did yard work for his friends and neighbors, and I have always assumed this work was site conditioned/determined. This (for me, particularly useful) analogy will likely make most sense to readers of a certain age, those who trick-or-treated in the late Sixties and early Seventies. Perhaps it was an urban myth, but the story of someone slipping razor blades into candy bars and distributing them on Halloween was so pervasive that hospitals in the Medical Center in Houston (where I grew up) offered to X-ray bags of candy for free on Halloween night, and I have heard the story from people who grew up elsewhere as well. A marketplace economy will invariably place escalating programmatic demands on a site, as competing interests strive to become identified with dominant sites and dominant forms, with dominant presence. A good example of this is traceable in the history of Grand Central Station. At the time of its construction, the Station’s violation of the grid — its usurping of propriety in favor of dominant location — was understood to fall within the public interest. Were the same public interests at work in the initial proposal for the Pan Am Building to straddle the Station? Of course not, but it’s irrelevant to the point: the marketplace city is always subject to the escalating presence of undeserving programs seeking dominance. There are, of course, instances when the cultural status of a program in landscape becomes the subject of intentional adjustment by the architect, and not merely for the sake of behaving like an architect. Of these, my favorite is Venturi’s Fire Station 4, which, in the form given, seeks is to re-establish the importance of this small institution in its landscape. The issue of re-writing a landscape in this way, even to the point of revolution (as in, say, the site consequences of Mies’ Brick Country House) — as opposed to just making more fore-grounded architecture — is the subject of another sequence of essays in this series. Thanks, once more, for this series! - You say "any example loses its anonymity automatically" in our culture, and I agree that any example that actually becomes an example in the critical or popular eye does. But that still leaves a lot of vernacular buildings -- the good ones often older, or in less observed places -- that might serve as examples as a collective type, but still likely retain their anonymities as individual buildings. But more and more this seems impossible with new buildings; this has to do, in part, with time and use (see my questions on your previous essay), I think, but it also no doubt has to do with our current culture. Architects are asked far more often about their favorite buildings than their favorite places, or their favorite tiny details, and are capable of providing far more interesting answers to the former question, even though the most interesting answers to the latter question are probably far more interesting. So the buildings *have* to be the example, and the architects are encouraged, in school and the market, to be site-dominant, whether they're honest about it or not. Buildings are more marketable than places, and when places do surface as prominently, it's because someone's found a way to make them marketable too (as in New York, since at least 1995, or Venice, or what have you). If you want the architecture to be the humble minister, it'll be a process. Where and how does that process start? - In this and all the essays, I feel like the differences between site, landscape and place matter a lot. Someone commented on your other essay that Loos' argument fails to acknowledge boundaries and limits, and how relevant they are, in the tension of their constructedness, to landscape and site. Loos aside, boundaries and limits are also clearly relevant to our construction of meaning in place, though perhaps differently. The term place more readily incorporates things beyond a landscape's visual limits (and for that matter, beyond the visual)... the Jeffersonian grid, manifest destiny, the history of that, the traveler's childhood memories, where your neighbors come from and go to, and even the Green Bay Packers all potentially matter, in sight or not. Crystal meth matters, whether or not your particular grain elevator stores grain, its users, or nothing. Nowhere do these questions matter more than in your few site-conditioned/determined examples: coming upon the car park in Wyoming, the question of accident vs. design probably has a lot to do with who you are when you come upon it, what your relationship is to the place, and whether you're thirsty or wet from rain... or the trucker who bumped into the roof in the first place. It might be a good story. If place was a more important word for architects than landscape, and site was, like program, just one of many constraints, I think it would be easier for architecture to be the humble minister. Do you?